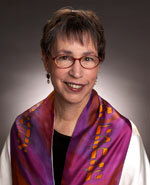 Abq Jew ® Blog: Chevre Kaddisha Alive! Abq Jew reported in April (Opening A Doorway) that - with the Holocaust Survivors Support Group and the Jewish Care Program - things are starting to look up. Members of the Albuquerque Chevra Kaddisha met on Sunday, April 21 to reaffirm our commitment to doing the holy work of preparing the bodies of Jews for proper burial. After the sudden dissolution of Jewish Family Service of New Mexico (JFS), which had housed the chevra kaddisha for the past 28 years, there were doubts in the community about whether the chevra kaddisha would continue. Without an organized plan, and in the first few weeks after JFS’ demise, dedicated volunteers came together to do this mitzvah. Led by Chaplain Linda Friedman, and supported by loyal members of the chevra kaddisha, we performed 11 taharot in the first three months of 2013. When the group met in April, we discussed a wide variety of logistical and ritual issues. A number of members volunteered to assume responsibility for some of the administrative tasks. All the members stated their continued commitment to undertake this mitzvah and to reach out to their friends and acquaintances to spread the word about this sacred work. Since the work of the chevra kaddisha involves actions to which most people have a reaction of aversion, fear, or disinterest, why are a group of Jews so dedicated to this mitzvah? Why do so many families, formally affiliated with congregations or not, desire this ritual for their loved ones at the time of death? Why might you, the reader, consider learning more about the work of the chevra kaddisha, attend training, or perhaps join this sacred society? When someone you love dies, it is appropriate and natural to continue to care for them, to desire that their body be treated with dignity, respect, honor and love. The ritual of tahara (purification) undertaken by the chevra kaddisha, does exactly that. 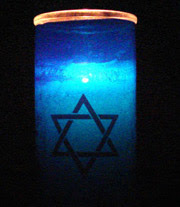 Jewish tradition refers to the concept as kavod ha’met, honoring the deceased. What do we do? After receiving information about the death of a Jewish person from the funeral home, clergy or relatives, a designated member of the chevra kaddisha calls other trained members to see if they are available to serve. For the sake of modesty, male members of the chevra kaddisha work with men who have died; females with women. Teams of four to six people gather at the funeral home, say a few prayers, don protective garments, and gather the required supplies. We check the funeral garments, white multi-piece items of clothing made of cotton or linen, quite similar to those worn by the High Priest at the time the ancient Temple stood. We then gently cleanse the body of the deceased, modestly, uncovering only parts of the body at a time, avoiding any appearance of impropriety. Cleansing is done quietly, solemnly, respectfully and lovingly. We then perform the ritual purification, where a clean white sheet is held over the deceased, like a chuppah (wedding canopy) and a measured amount of water is gently poured over the person, while the team recites a Hebrew verse about purity. Chants or quiet singing sometimes accompany the pouring. The team members use soft towels to dry off the deceased before dressing them in the funeral garments. When they are completely dressed, we carefully transfer them into their coffin, their final resting place. We place broken shards of pottery on their eyes and mouths, indicating the finality of death. We sprinkle earth from Israel over them, connecting them to the land of their ancestors. Then, we speak to the person. We apologize for any awkwardness or errors, thank them for the privilege of helping them at this most fragile time, wish them well, and ask that their memory be a blessing. After closing the coffin, we do a few final prayers, and thank each other. We leave the room, each time permanently changed, moved by the experience, and grateful for the gift of life. All the members of the chevra kaddisha started out with doubts, moved through them, and are now very willing to talk to others in the community about their experiences. Families interested in pre-planning a tahara for themselves or arranging one for a recently deceased family member, irrespective of an affiliation with a temple or synagogue, can get further information by calling Chaplain Linda Friedman at 263-1668. You can also take this a step further by becoming a chevra kaddisha volunteer. We welcome Jewish men and women, ages 18 years and older, to consider performing this profound mitzvah. Interested women may contact Chaplain Linda Friedman at the above number; interested men may contact Sam Sokolove at (505)348-4458.